Accusations of Medicaid/care Fraud Run Rampant in SC: There Are Legal Remedies! As if South Carolina didn’t have enough issues with the recent flooding, let’s throw in some allegations of Medicaid fraud against the health care providers. I’m imagining a provider under water, trying to defend themselves against fraud allegations, while treading water. It’s not a pretty picture. Flash floods happen fast, as those in SC can attest. So, too, do the consequences of allegations. Shakespeare is no stranger to false accusations. In Othello, Othello is convinced that his wife is unfaithful, yet she was virtuous. In Much Ado About Nothing, Claudio believes Hero to be unfaithful and slanders her until her death. Interestingly, neither Othello and Claudio came to their respective opinions on their own. Both had a persuader. Both had a tempter. Both had someone else whisper the allegations of unfaithfulness in their ears and both chose to believe the accusation with no independent investigation. 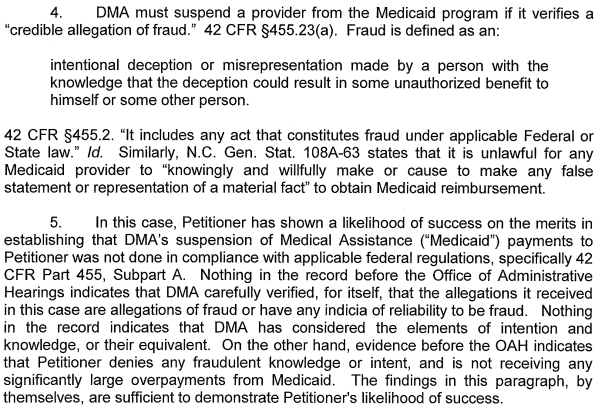 So too are accusations of Medicaid/care fraud so easily accepted without independent investigation. With the inception of the Affordable Care Act (ACA), We have seen a sharp uptick on accusations of credible allegations of fraud. See blog for the definition of credible allegation of fraud. The threshold for credible allegation of fraud incredibly low. 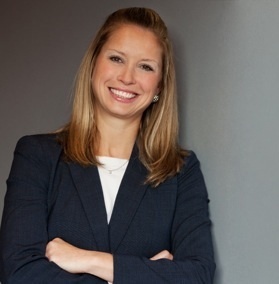 A mere accusation from a disgruntled employee, a mere indicia of credibility, and/or even a computer data mining program can incite an allegation of fraud. Hero was, most likely, committing Medicare/acid fraud too. The consequences of being accused of fraud is catastrophic for a health care provider regardless whether the accusation is accurate. You are guilty before proving your innocence! Your reimbursements are immediately suspended! Your entire livelihood is immediately crumbled! You are forced to terminate staff! Assets can be seized, preventing you even the ability to hire an attorney to defend yourself! I have seen providers be accused of credible allegations of fraud and the devastation that follows. In New Mexico. In North Carolina. See documentary. Many NC providers serve SC’s population as well. The Medicaid reimbursement rates are higher in SC. Obviously, The ACA is nationwide, federal law. Hence, the increase in allegations/accusations of health care fraud is nationwide. Recently, South Carolina health care providers have been on the chopping block. Othello and Claudio are in the house of Gamecocks! South Carolina’s single state agency, DHHS, required Medicaid recipients to get a 2nd prior approval before receiving health care services for “rehabilitative behavioral health” services, such as behavioral health care services for substance abuse and mental illness (could you imagine the burden if this were required here in NC?). Then, last year, SC DHHS eliminated such 2nd prior approval requirement. “What should these providers do?” You ask. Hire an attorney and seek an injunction lifting the suspension of payments during the investigation. Turn a Shakespearean tragedy into a comedy! Toss in a dingy! As you can read in the above-referenced case, despite 42 455.23(a) mandating a suspension of payments upon credible allegations of fraud, this Judge found that the state failed to carefully weigh the evidence before suspending all payments. NC Medicaid Reimbursement Rates for Primary Care Physicians Slashed; Is a Potential NC Lawsuit Looming? Nearly one-third of physicians say they will not accept new Medicaid patients, according to a new study. Is this shocking in light of the end of the ACA enhanced payments for primary physicians, NC’s implementation of a 3% reimbursement rate cut for primary care physicians, and the additional 1% reimbursement rate cut? No, this is not shocking. It merely makes economic sense. Want more physicians to accept Medicaid? Increase reimbursement rates! (1) With the implementation of the Affordable Care Act (ACA), the Medicaid reimbursement rate for certain primary care services increased to reimburse 100% of Medicare Cost Share for services paid in 2013 and 2014. This enhanced payment stopped on January 1, 2015. (2) Concurrently on January 1, 2015, Medicaid reimbursement rates for evaluation and management and vaccination services were decreased by 3% due to enactments in the 2013 NC General Assembly session. (3) Concurrently on January 1, 2015, Medicaid reimbursement rates for evaluation and management and vaccination services were decreased by 1% due to enactments in the 2014 NC General Assembly session. The effect of the trifecta of Medicaid reimbursement rates for certain procedure codes for primary care physicians can be seen below. As a result, a physician currently receiving 100% of the Medicare rates will see a 16% to 24% reduction in certain E&M and vaccine procedure codes for Medicaid services rendered after January 1, 2015. Are physicians (and all other types of health care providers) powerless against the slashing and gnashing of Medicaid reimbursement rates due to budgetary concerns? No! You are NOT powerless! Be informed!! Courts across the country have held that low Medicaid reimbursement rates which are set due to budgetary factors and fail to consider federally mandated factors, such as access to care or cost of care, are in violation of federal law. Courts have further held that Medicaid reimbursement rates cannot be set based solely on budgetary reasons. “Given the record, I conclude that plaintiffs have shown that achieving adequate provider enrollment in Medicaid – and for those providers to meaningfully open their practices to Medicaid children – requires compensation to be set at least at the Medicare level. Judge Jordan is not alone. Over the past two decades, similar cases have been filed in California, Illinois, Massachusetts, Oklahoma, Texas, and D.C. [Notice: Not in NC]. These lawsuits demanding higher reimbursement rates have largely succeeded. There is also a pending Supreme Court case that I blogged about here. Increasing the Medicaid reimbursement rates is vital for Medicaid recipients and access to care. Low reimbursement rates cause physicians to cease accepting Medicaid patients. Therefore, these lawsuits demanding increased reimbursement rates benefit both the Medicaid recipients and the physicians providing the services. Ever heard the phrase: “You get what you pay for.”? A few months ago, my husband brought home a box of wine. Yes, a box of wine. Surely you have noticed those boxes of wine at Harris Teeter. I tried a sip. It was ok. I’m no wine connoisseur. But I woke the next morning with a terrible headache after only consuming a couple of glasses of wine. I’m not sure whether the cheaper boxed wine has a higher level of tannins, or what, but I do not get headaches off of 2 glasses of wine when the wine bottle is, at least, $10. You get what you pay for. The same is true in service industries. Want a cheap lawyer? You get what you pay for. Want a cheap contractor? You get what you pay for. So why do we expect physicians to provide the same quality of care in order to receive $10 versus $60? Because physicians took the Hippocratic Oath? Because physicians have an ethical duty to treat patients equally? While it is correct that physicians take the Hippocratic Oath and have an ethical duty to their clients, it’s for these exact reasons that many doctors simply refuse to accept Medicaid. It costs the doctor the same office rental, nurse salaries, and time devoted to patients to treat a person with Blue Cross Blue Shield as it does a person on Medicaid. However, the compensation is vastly different. Why? Why the different rates if the cost of care is equal? Unlike private insurance, Medicaid is paid with tax dollars. Each year, the General Assembly determines our Medicaid budget. Reducing Medicaid reimbursement rates, by even 1%, can affect the national Medicaid budget by billions of dollars. Is a potential lawsuit looming in NC’s not so distant future?? ?